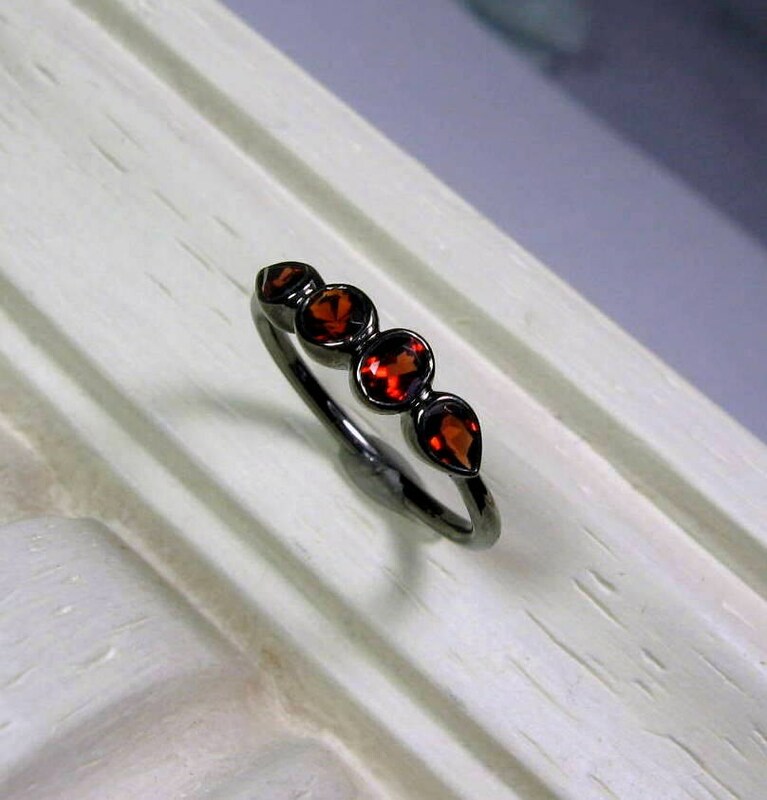 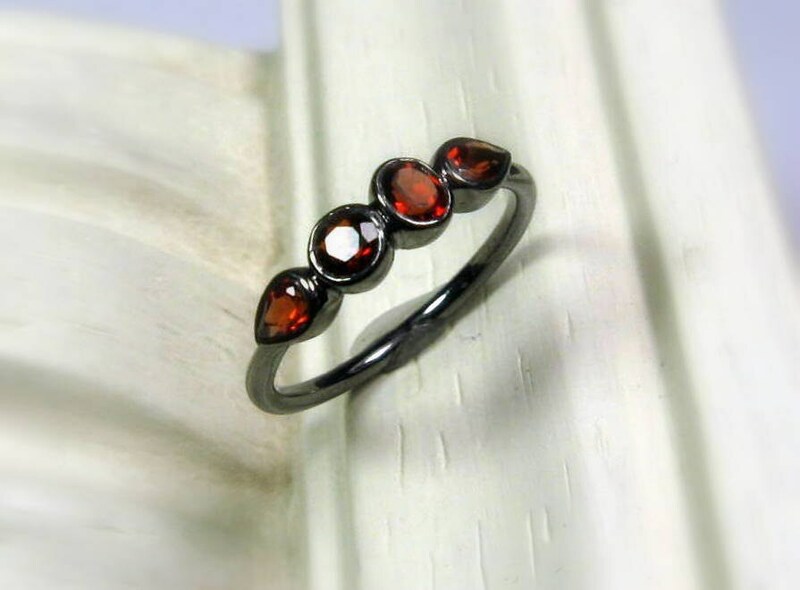 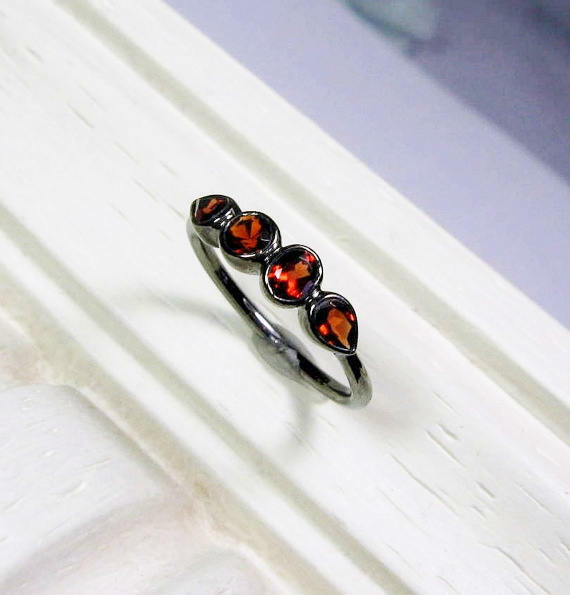 Garnet gemstones sit elegantly in the sterling silver bezel setting. 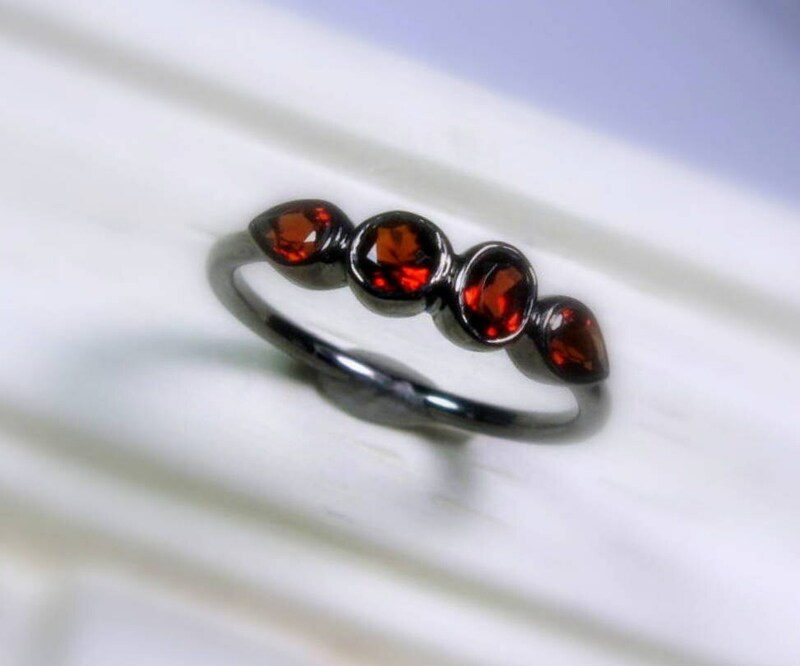 Each stone boasts in own unique shape. 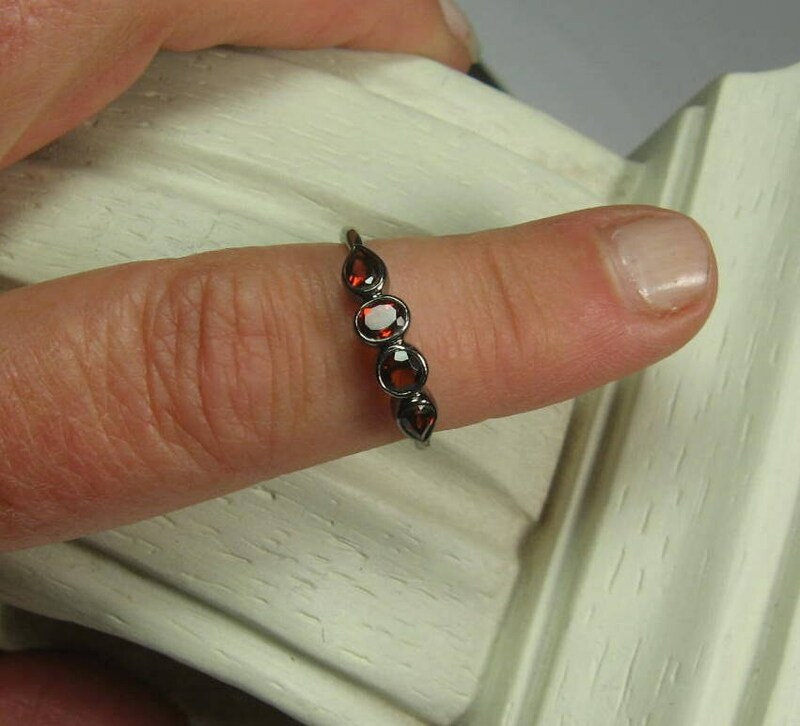 This ring was cast in Sterling Silver and oxidized (blackened) for a vintage affect, hand set and polished.